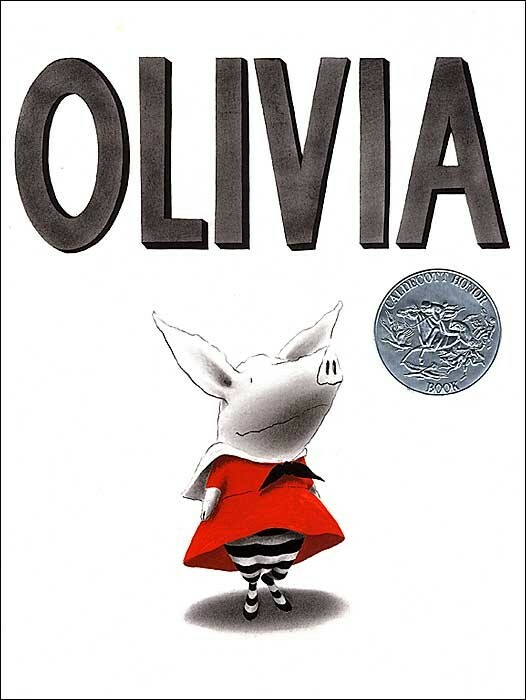 Olivia would be Eloise, if Eloise were a pig. She is good at singing 40 very loud songs and is very good at wearing people out. And scaring the living daylights out of her little brother, Ian, particularly when he copies her every move. She is also quite skilled at reproducing Jackson Pollock's "Autumn Rhythm #30" on the walls at home. When her mother tucks her in at night and says, "You know, you really wear me out. 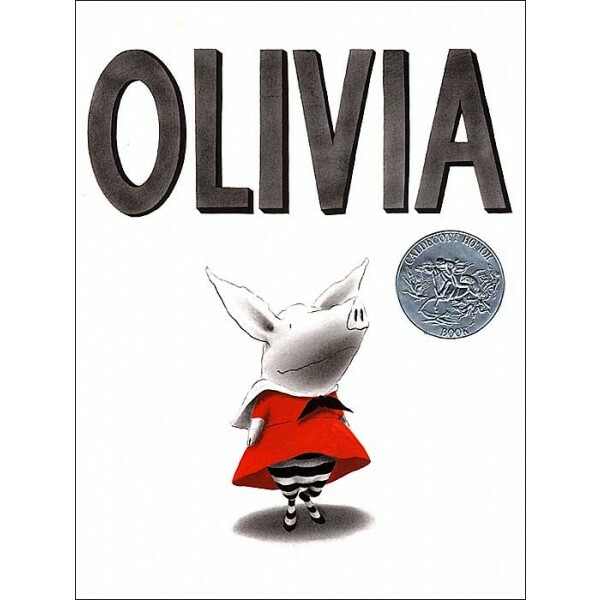 But I love you anyway," Olivia precociously pronounces, "I love you anyway too." The New Yorker artist Ian Falconer's endearing charcoal portraits of his porcine heroine are spotted with fire-engine red gouache in all the right places -- perhaps a tribute to Hilary Knight's red, pink, white, and black celebrations of Olivia's human counterpart? When she dresses up, the bow on her ears, her red lipstick, and her high-heeled shoes are all red. (The only time her shades-of-gray body is pink is when she is sunburned and the area where her bathing suit was is white!) Falconer does a fine job of letting the spare text set up the jokes for the visual punch lines -- a dryly humorous interplay that adults will appreciate as much as children.